When I was in college we used to discuss frequently an old philosophical question about the 5 famous people we’d like to meet and get to know. At that time I’m sure my list was different from what it is today, and back then I was never really sure who would top the list. Though I’m still not sure about who all five would be, I do know for certain who would top the list, Jesus Christ and Claude Monet, and in that order. A soulmate is defined in the dictionary as a person ideally suited to another as in a close friend or a romantic partner. Perhaps not in a romantic sense but Jesus is the Lover of my soul and therefore is my eternal and divine soulmate, and I’ve long thought of Claude Monet as a soulmate, someone with whom I would love to have been close friends. 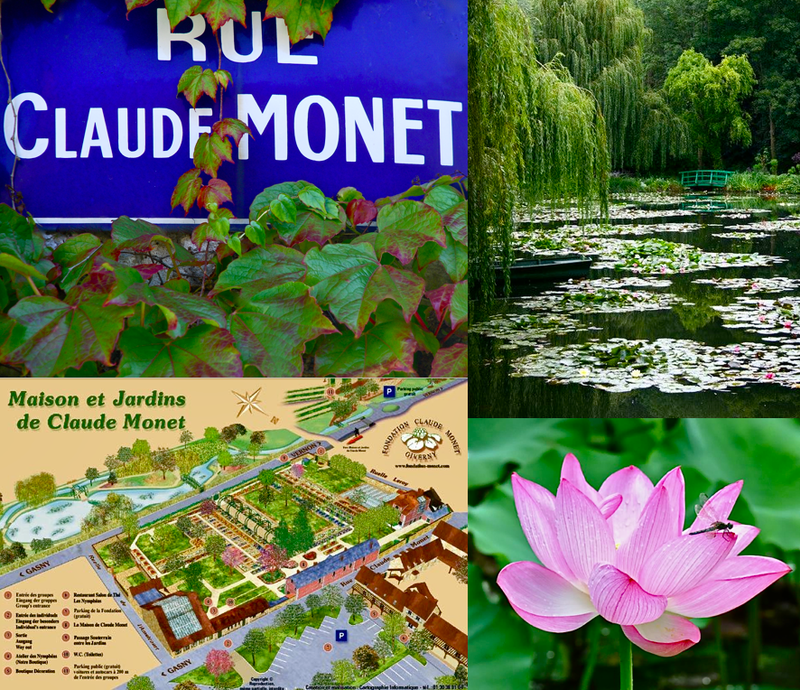 Needless to say our trip to Giverny confirmed and solidified Monet’s spot at number 2. Sadly there are hundreds and hundreds of people who visit Giverny each day, and we were prodded along much like cattle being driven down a chute so it was hard to get really nice photos or spend as much time lingering as I would have liked. 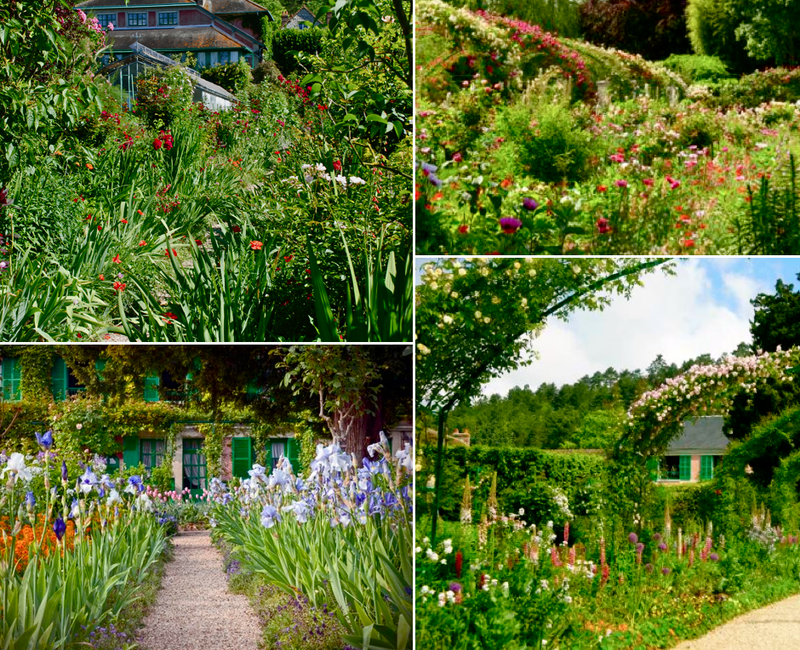 But I did get some to which I have added to a few more that I found on Pinterest and the internet so as to try and give you all an idea of the exquisite beauty of Monet’s gardens and the charm of his house. If you look carefully at the map in the opening photo, you may be able to get an idea at least of the scope and size of Giverny. There are literally flowers EVERYWHERE, and they are scattered over acres and acres. So here we go on today’s leg of my little photo tour of Giverny. Enjoy. the light and the air which vary continually. My favorite artist has always been Claude Monet who was the founder of French Impressionist painting. 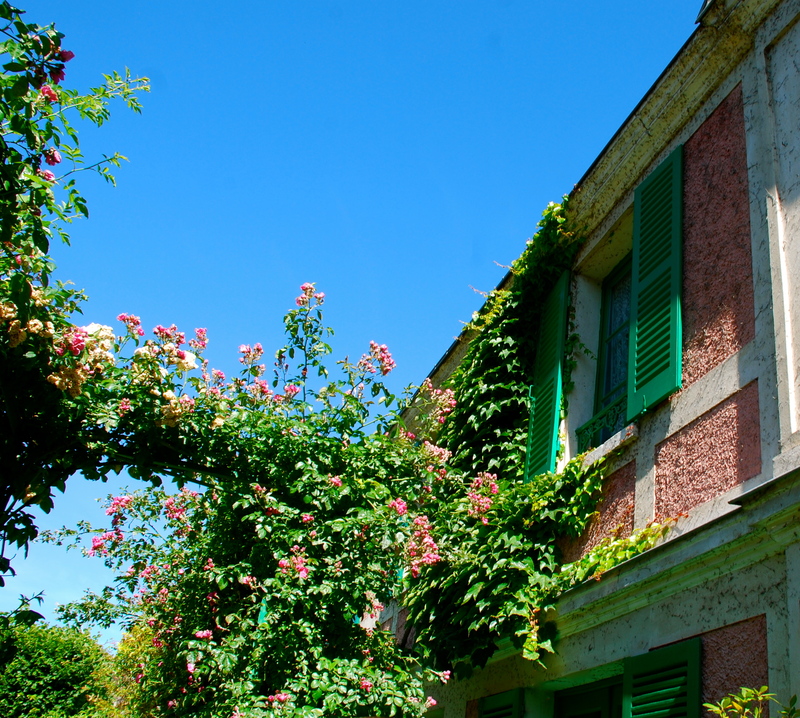 And so while we were in Paris, we took a bus tour to Giverny where in 1890 the artist bought a house and land. Later he added a greenhouse and a second studio. 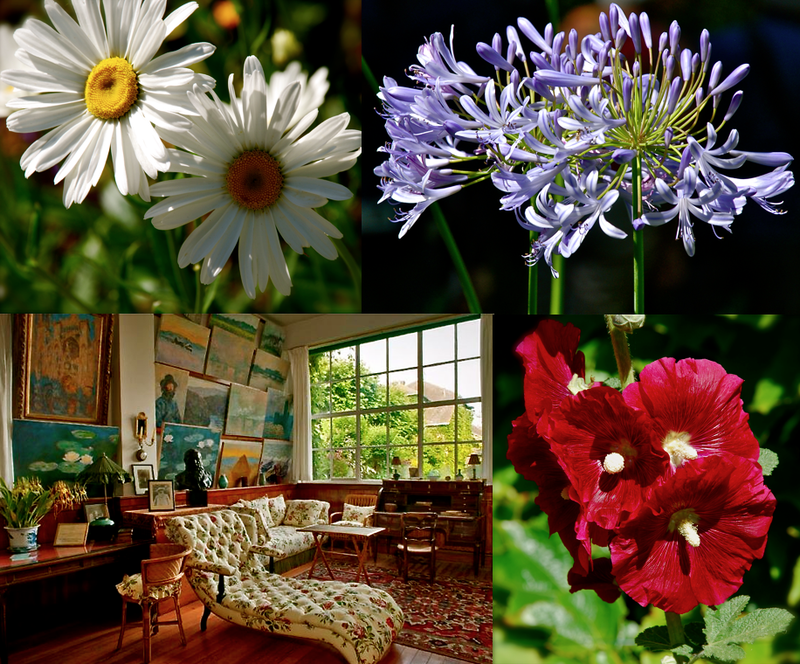 The artist remained the architect of his massive gardens at Giverny even after he hired seven gardeners to whom he wrote daily instructions, precise designs and layouts for the plantings, and invoices for his floral purchases. Then in 1893, he purchased additional land with a water meadow and began a vast landscaping project which included lily ponds and a Japanese bridge, subjects of his best known works. Although, I expected his gardens to be gorgeous, that doesn’t even begin to describe what could well have been a model of the original Garden of Eden or what Heaven might look like. So over the next few days, I want to share with you some of the things I saw that day. Enjoy!